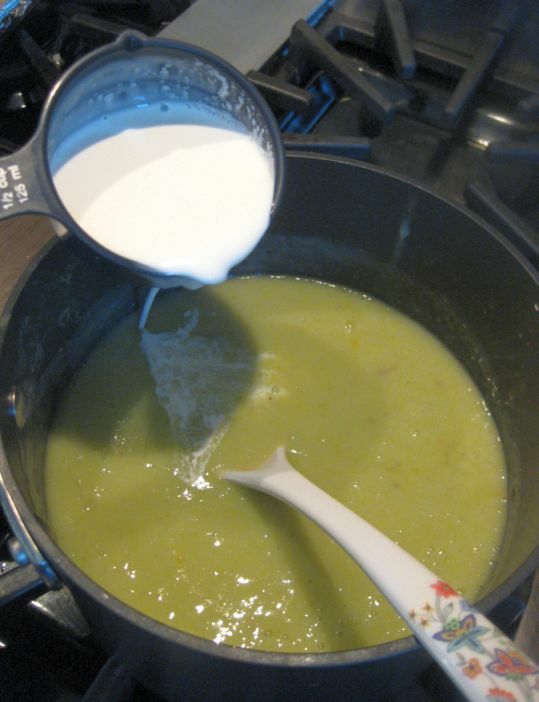 Vichyssoise is a soup traditionally made with leeks and potatoes as the vegetable foundation. Here instead of leaks, Asparagus is used. 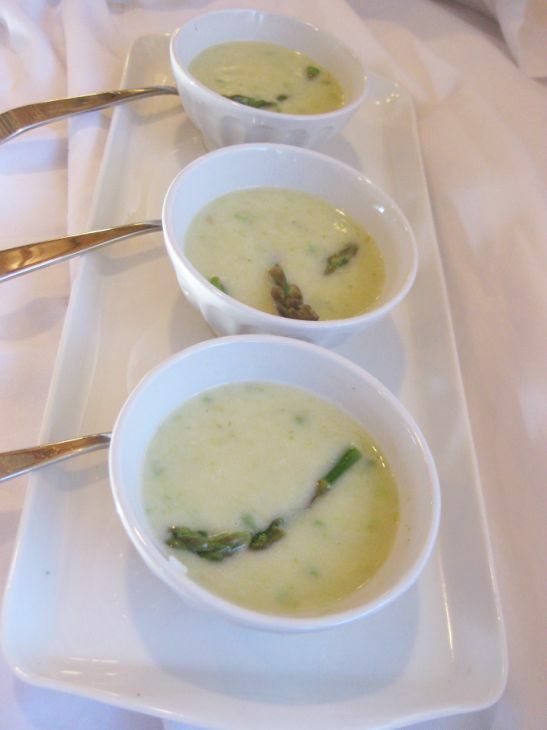 Vichyssoise is a cooked soup that is subsequently chilled and can be served either hot or cold but most of the time it is served cold. To me soup has to be eaten hot so I always serve it hot but it is nice to know there is an option to serve it cold. I also found out that this soup is best the next day, after the flavors have blended! The surprise ingredient is this soup is the jalapeno! 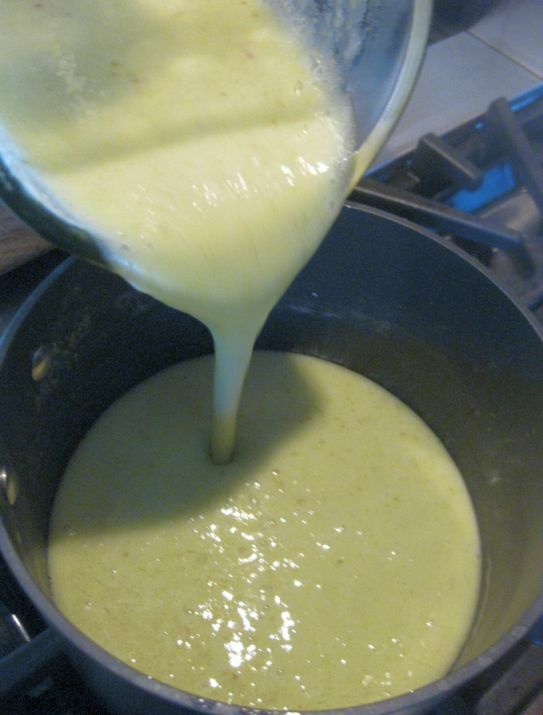 The jalapeno add a bit of heat to the soup and also has an unexpected but welcome flavor to the soup. I simply love this soup. A very easy dish to make with only a few ingredients but it is busting with flavors. Pour 4 cup of water into a large pot. Pour salt into the water and make sure it is salty. Bring the water to a boil and lower the heat to medium high. 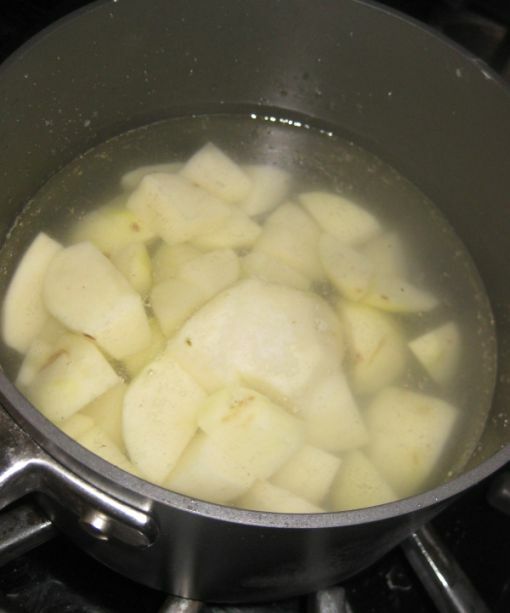 Let it boil for about 15 minutes or until the potatoes are falling apart. While the potatoes are boiling, clean your asparagus. 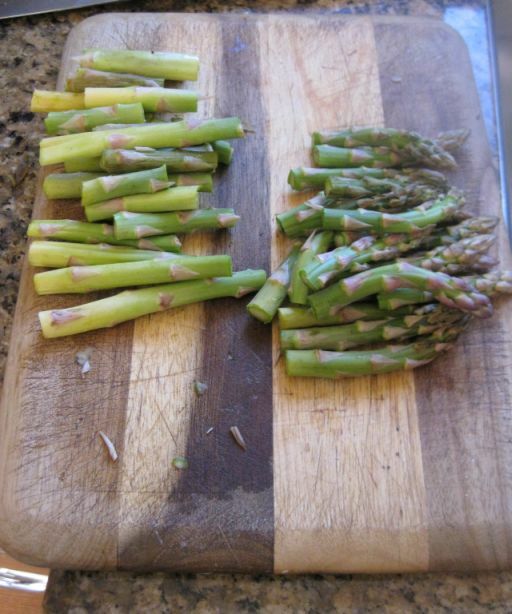 Cut the top of the asparagus and save it for later. 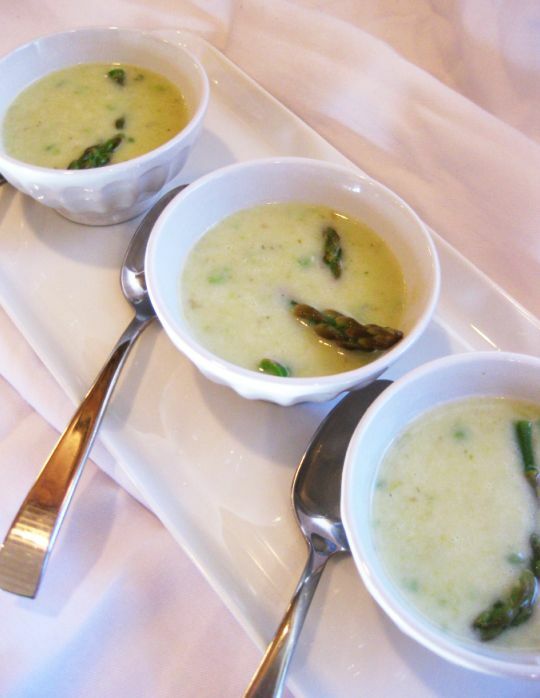 Use the remaining of the asparagus in the soup. 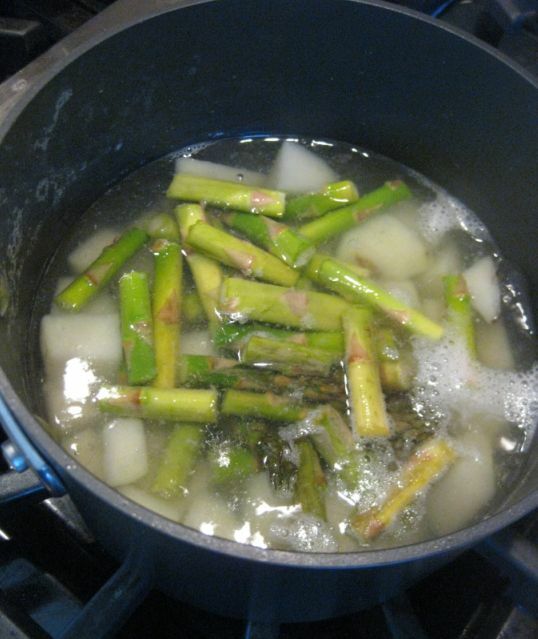 Add all the asparagus stems to the potatoes and let them boil for about 3 to 4 minutes or until tender. Drain the potatoes and asparagus. Don't throw away the water. 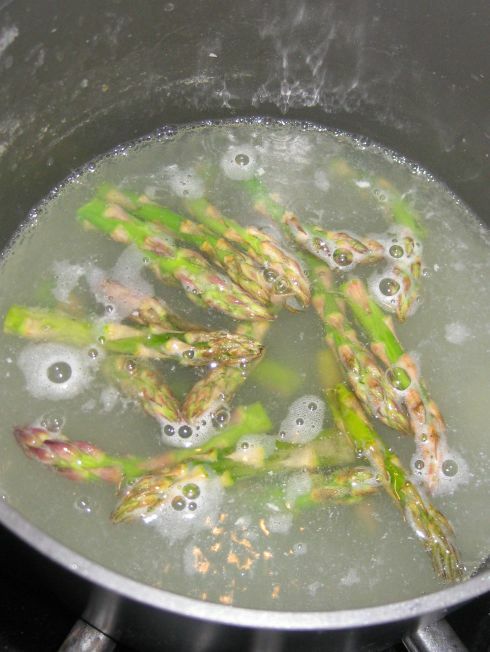 Use the same water to blanch the tip of the asparagus. Let it cook for a few minutes. 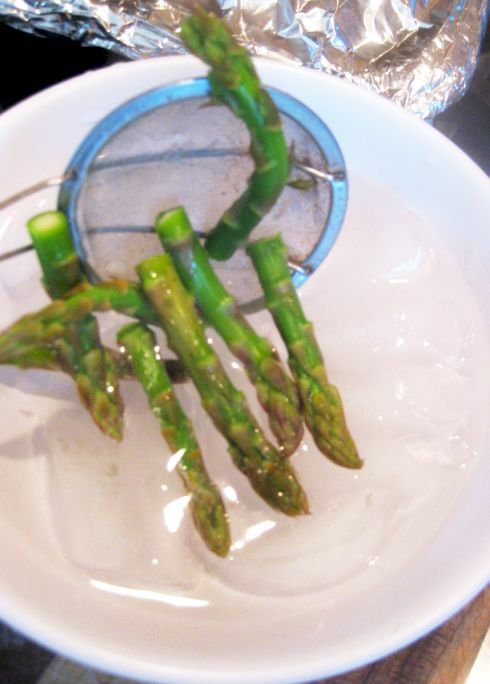 Remove the asparagus tips and immerge them into a bowl of icy cold water. Set aside. 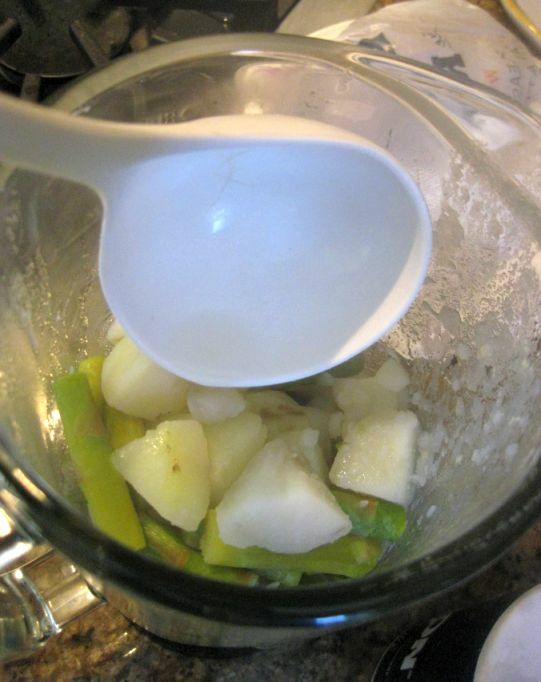 Put the cooked potatoes and asparagus stems into a blender. 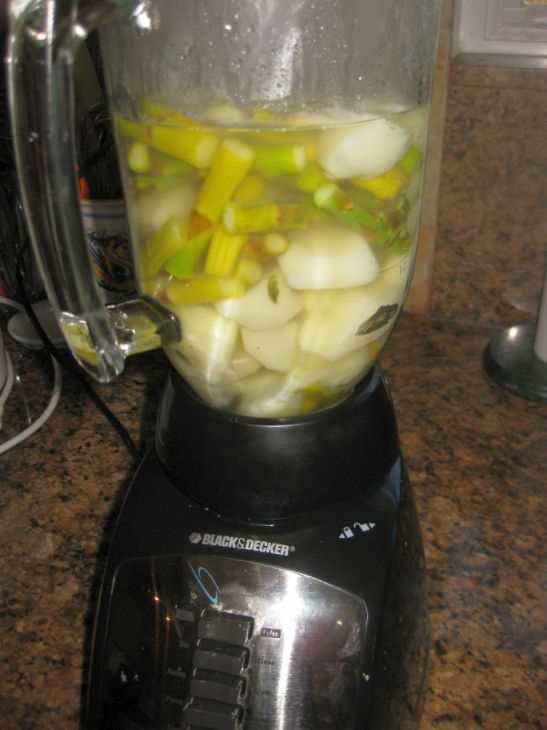 Pour all the cooking broth into the blender. Purée all the ingredients in the blender. Pour the puree soup back into the pot and bring it to a boil. Add the cream. Taste and season according to taste. 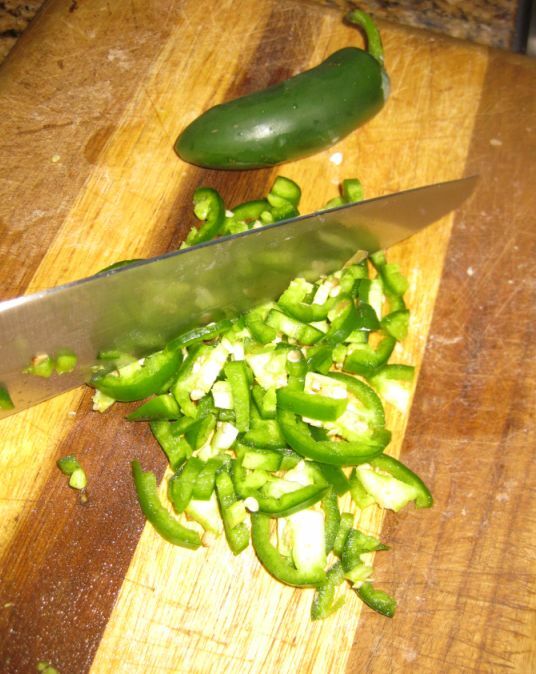 While the soup is warming up, chopped the jalapenos. I only use 1 jalapeno and it was enough heat for me. 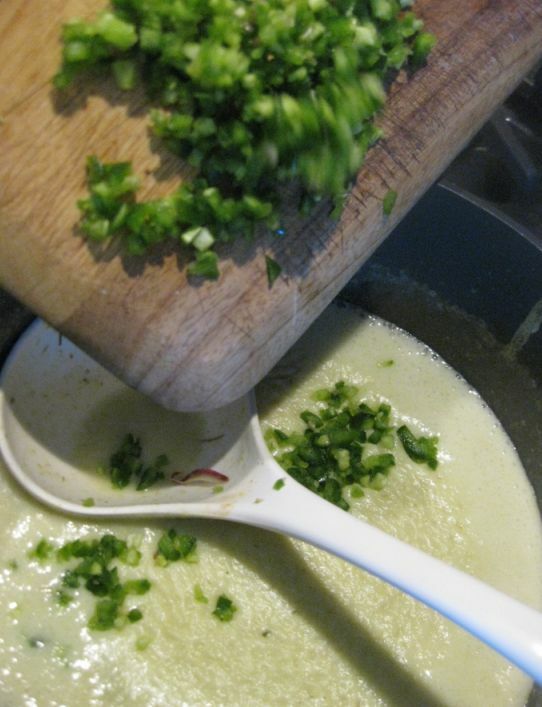 Add the jalapeno to the soup and let it simmer for a few minutes. You can serve it right away or just let it set there until the soup is cool down. 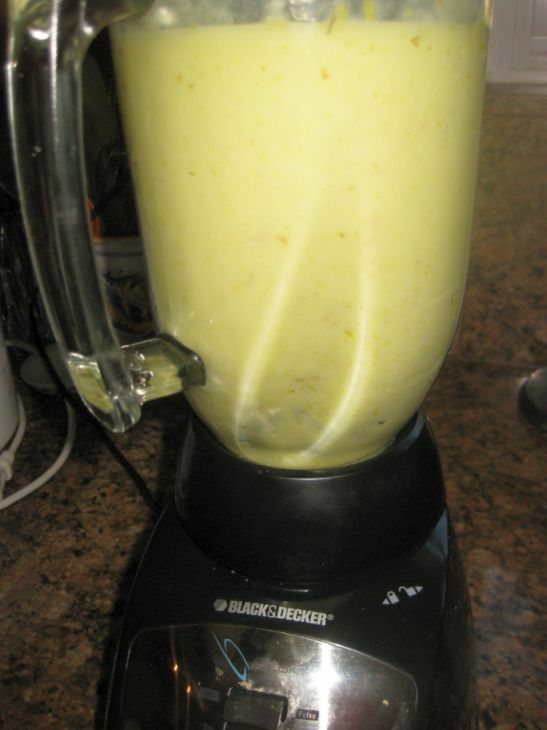 Refrigerate overnight and serve it the next day either cold or hot. The flavors are better the next day.